A quick google search produces hundreds of results related to “intuitive eating,” the 10 principles, some how-tos, and success stories. As important as these points are in understanding the mechanics of this food philosophy, they don’t always give a felt sense of what it’s like to eat in a natural way. In the simplest terms, intuitive eating means using your body’s feedback to guide your eating decisions. It’s something that happens, not something you control. It’s instinctual, ancient, and primal, yet highly sophisticated in its balance of hormone-driven cues and pleasure-driven rewards. It is basic human physiology in collaboration with both the rational and emotional minds. Yes, it’s the name of an awesome book and proven system to help people get off the diet train, but intuitive eating is something deeper, something truly valuable. Once you get it back, you don’t ever want to give it up again. You will protect it at all costs. 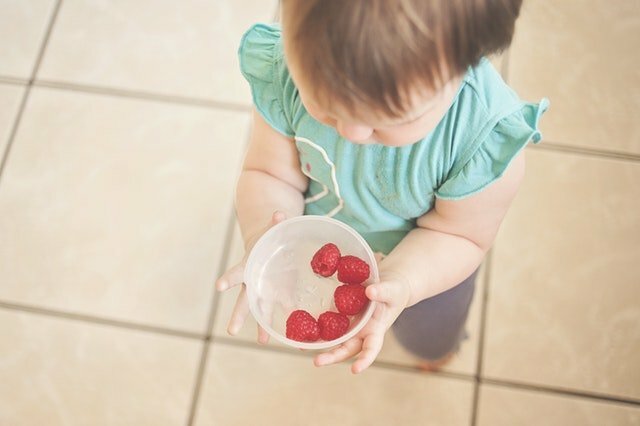 In childhood, when left undisturbed, eating happens more subconsciously. You eat when you are hungry, stop when you are full, eat the foods you like (ideally with the guidance of a benevolent caregiver), and develop healthy ways of coping with emotions that don’t involve food. You may not remember this part of life, but chances are at some point, your eating was pretty intuitive. As we mature, the intuitive nature can get disrupted if we become hyperconscious of our bodies and food choices or lose our ability to cope well emotionally. Consequently, we lose the ability to eat intuitively. The more control we exert on the body, including the suppression of emotions, the more disconnected from our bodies we become. This disconnection fosters a lack of trust. If we can’t trust our bodies, then we have to create food rules and meal plans, using external cues to direct our eating habits. The longer this goes on, the more disconnected from our bodies we become and the less intuitive eating feels. In short, we “forget” how to eat. Maybe there is weight gain. Or weight loss. Or fear of the body being out of control. In any case, we begin to suspect that this is not how it’s supposed to be. I mean, other people seem to be eating what they want and they’re fine, right? They aren’t obsessing over everything they put in their mouths. Their weight seems fine, right? They don’t freak out about going out to dinner and having “too much” or that they will suddenly gain ten pounds from a bowl of pasta, do they? Is something wrong with me?! There must be another way. At this point, the googling starts. Somewhere among the wreckage of past failed-diet attempts, intuitive eating emerges along with its synergistic trinity: unconditional permission to eat; reliance on internal hunger and satiety cues; and eating for physical rather than emotional reasons. A primary tenet of eating intuitively is giving one’s self unconditional permission to eat anything at any time in any amount. Disconnected eaters usually panic when they imagine doing this, believing they would get totally out of control with food. They fear they’ll choose all the wrong foods and never stop gaining weight. This fear is a misunderstanding of intuitive eating. Giving yourself unconditional permission actually has one important condition: it only works if you are committed to honoring your hunger and fullness cues. And in order to do that, you have to be willing to be somewhat connected to your body, which is often really difficult for people who are used to dieting or are in eating disorder recovery. Plus, when we truly listen to our bodies, we find that most of the time, they want solid nutrition. To truly eat intuitively, you have to change your relationship to hunger and fullness. You can no longer get a secret high from being on empty. You can’t panic if you sense food in your stomach or feel shame that your belly sticks out a bit after a meal. You can’t equate hunger with control or fear of getting out of control. Being full can’t equal failure. Hunger has to mean only that it’s time to eat. Fullness has to mean only that it’s time to stop. Let’s say you are able eat what you want within the boundaries of your well-honed appetite cues. The thing is, honoring your hunger and fullness cues only works if you have a decent grasp of your emotions. You have to know the difference between physiological hunger and when urges to eat are emotion-driven. If you don’t really understand why you are eating in the first place, it will be very difficult to trust your intuition when it comes to food choices and amounts. Suddenly, it becomes clear that the hyperconscious awareness about food and body is actually a cover for all the stuff that remains unconscious or difficult to feel. How about that for a sophisticated coping strategy? Bringing all that icky stuff to the surface is precisely what allows intuitive eating to become possible again. It sounds simple, but it it sure isn’t easy. There is one more element to master in this process, the fulcrum of it all, if you will. Eating intuitively requires savoring and enjoying the experience of eating with satisfaction as the goal, not just getting full or eating for fuel. It means taking the time to make the food taste good. In order to do that, you can’t be scared of enjoying the food so much that you might get out of control. The key is you can’t get out of control if you are committed to honoring your fullness cues and coping with emotions in other ways. As long as you do that, it’s safe to enjoy your food. Here’s what intuitive eating isn’t. It isn’t about ignoring your body until you sense hunger and then magically expecting the perfect food choice to appear. It’s not about always eating the perfect amount of delicious and nutritious foods in the ideal balance at the perfect time. It’s knowing you still need to eat, even if you don’t feel like it or you’re in a bad mood. It’s messy. It requires accepting that sometimes the food isn’t that yummy, but that’s all there is and you’re hungry. It’s learning that if you want good food, sometimes you need to plan ahead. It’s eating meal by meal knowing that it is the quality of the diet over time that counts. It’s also being sure to enjoy the heck out of really delicious food when it’s there, with the explicit understanding that that feeling isn’t going to last. It’s knowing how to feel. It’s feeling into your bodily sensations and responding appropriately. It’s noticing and feeling your feelings and relating to them kindly. It’s reserving judgment and shame about the fact that you have a body that eats and accepting the natural consequences of meeting your needs. And most of all, it’s learning to delegate some of the work back to your body so you can get on with more important things.